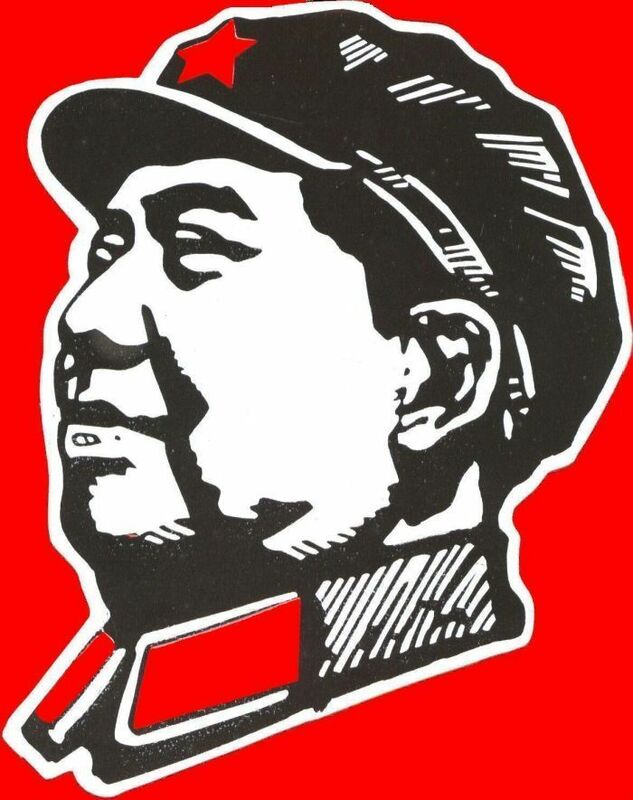 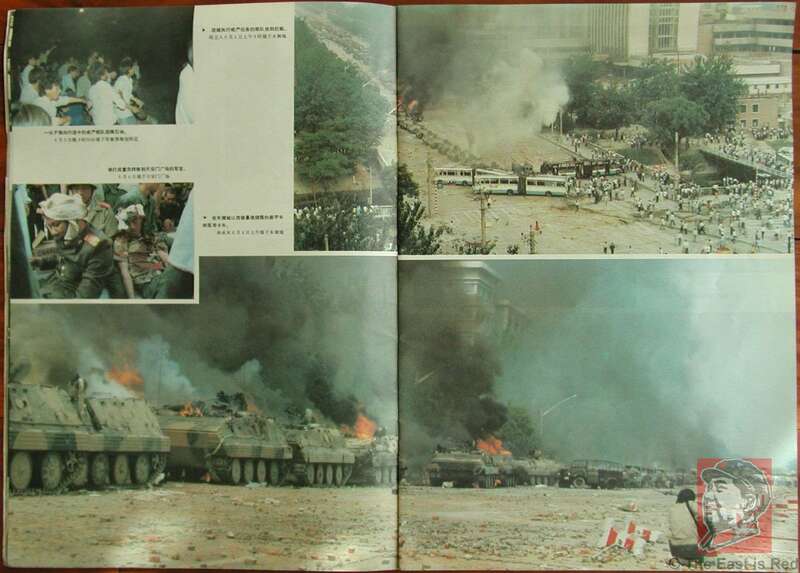 This is a fascinating historical document that depicts the actions of the People's Liberation Army as righteous and heroic during the Tiananmen Square 'incident' in June 1989. 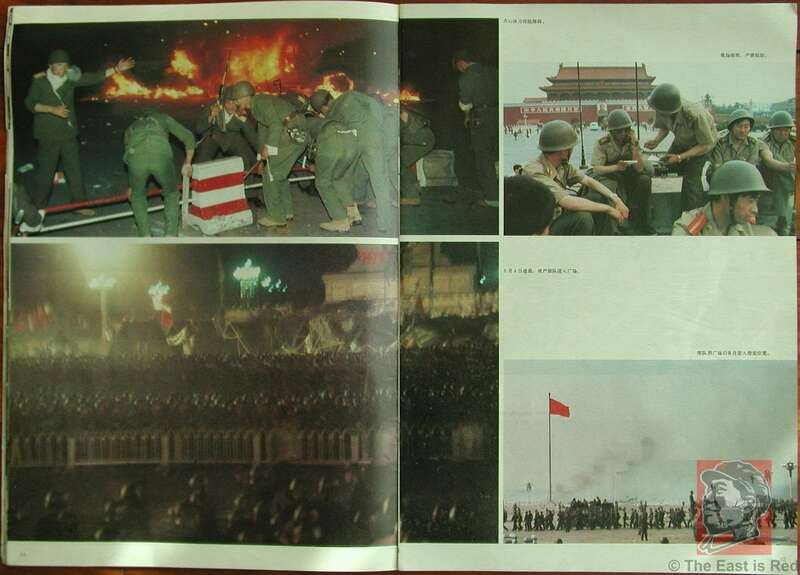 Inside are page after page of stunning and shocking photos of Tiananmen Square filled with troops, tanks, burning buses and the protesting students. 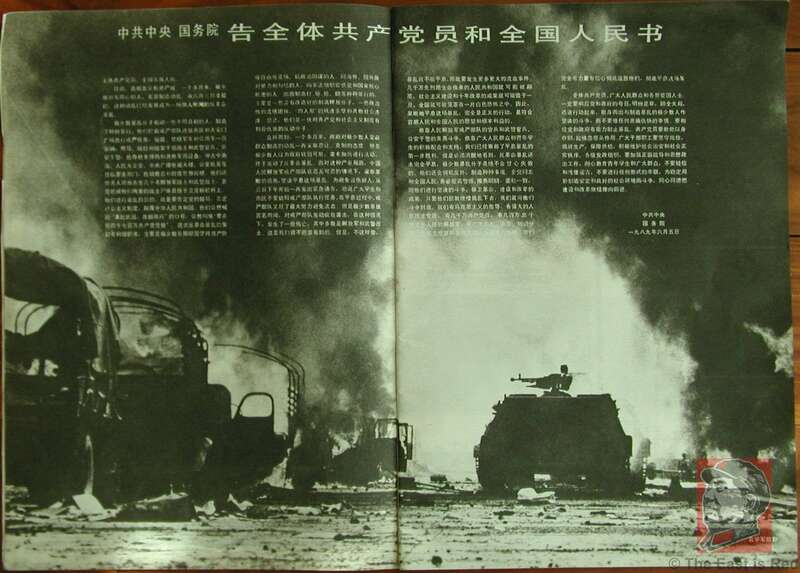 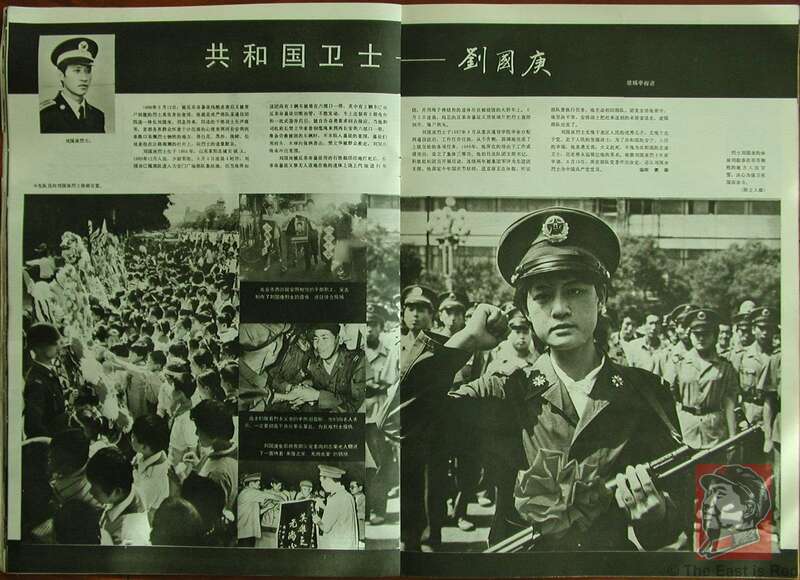 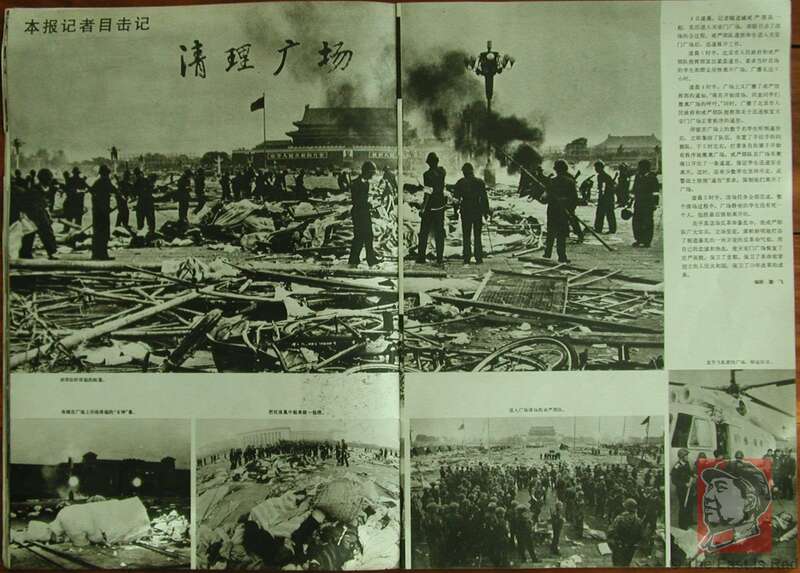 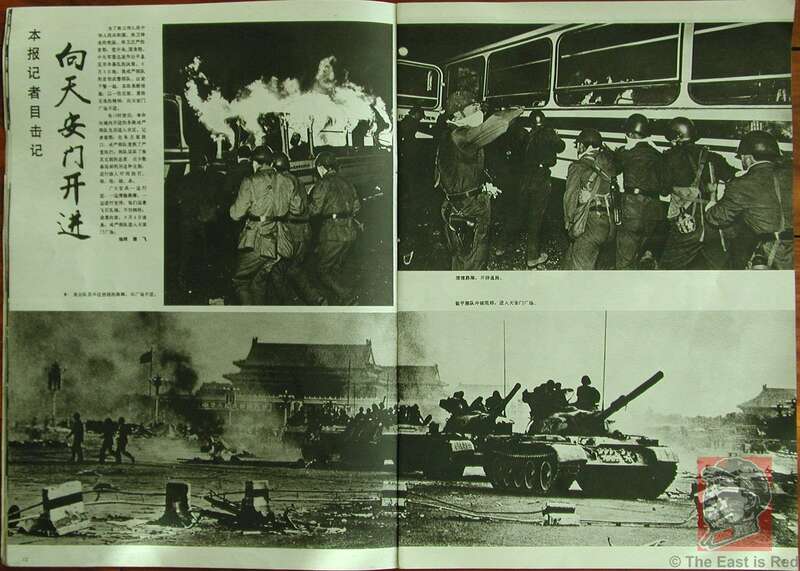 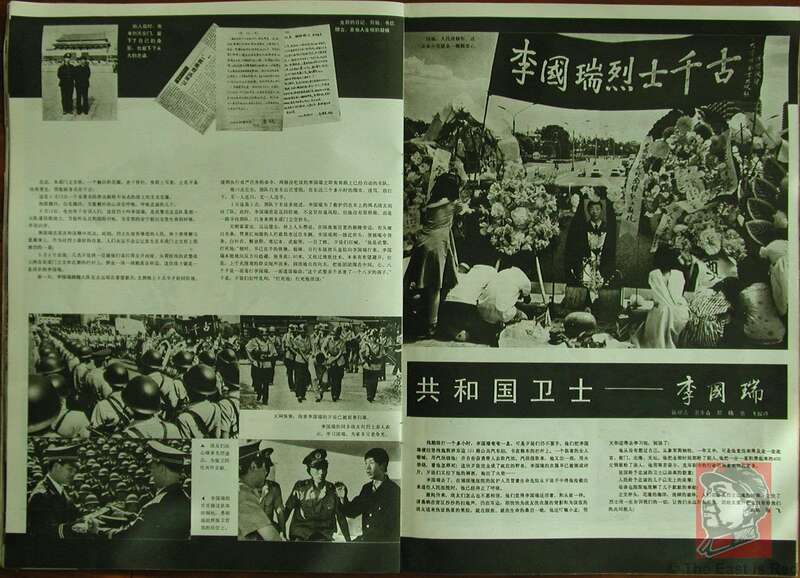 Interesting to note that there are also several pages devoted to PLA members who lost their lives during June 1989. 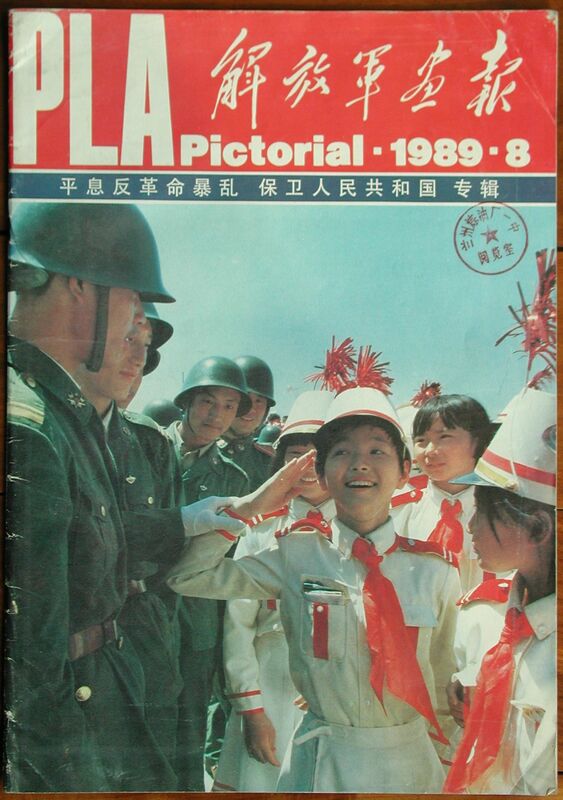 This was published by the PLA Pictorial Agency in August 1989 and measures 26cm x 37cm (10.25 x 14.5 inches). 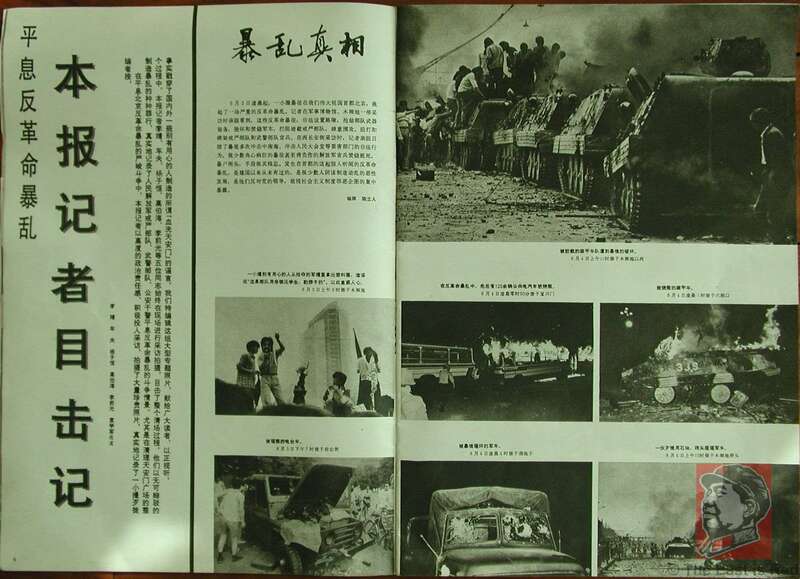 There are no marks on inner pages and 44 pages total.